The University of Saskatchewan is pleased to offer scholarships to international undergraduate students to study in its university. The eligible students are to receive the International Student Entrance Scholarship in addition to a Guaranteed Entrance Scholarship. The University of Saskatchewan (U of S) is a Canadian public research university, founded on March 19, 1907, and located on the east side of the South Saskatchewan River in Saskatoon, Saskatchewan, Canada. 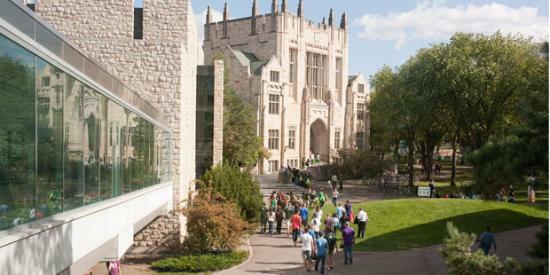 The University of Saskatchewan is a modern, supportive and cosmopolitan university located in the centre of one of Canada’s most vibrant cities, where we welcome students from all countries and all backgrounds. Available Subject: Scholarships are awarded in all the subjects offered by the university. Scholarship Benefits: The award of the scholarship is valued at $10,000 CDN. Number of Scholarships: There are 6 scholarships are available for the students. Eligible Nationalities: Scholarships are available for international students. 1). International students (non-Canadian citizens paying differential tuition) entering any direct-entry college at the U of S will be considered for an International Student Scholarship. 2). Recipients are eligible to receive the International Student Entrance Scholarship in addition to a Guaranteed Entrance Scholarship. 3). Applicants with the first degree from a recognized university and academically talented, disadvantaged based on the criteria of disability, socioeconomic status, and are not engaged at work at all or have been engaged at work but couldn’t able to cover their study expenses will be eligible for the scholarship. 5). Have leadership/community giveback experience or potential. By applying online for undergraduate admission, students will be eligible for consideration. The application deadline is February 15. Students must also submit the necessary supporting documents, pay the $90 CDN application fee and meet U of S admissions requirements (including English Language Proficiency) by March 1.